Search our selection of properties now! 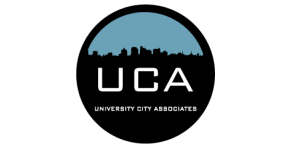 University City Associates provides an affordable and private home away from home where students can live and study in Philadelphia, Pennsylvania. Proudly serving: University of Pennsylvania, Drexel University, The Restaurant School at Walnut Hill College, University of the Sciences in Philadelphia, and Institute of the Culinary Arts. University City Associates is located on the western perimeter of UPENN's campus. Whether you ride your bike, walk, take the LUCY, or take the Campus Apartments shuttle, you can live the off-campus lifestyle and never be too far from class.